The once relentless call for justice has started to fade out. The criminal is now the hero. He died in 1989. But he continues to haunt all of us. Soon Marcos will be buried at the Libingan ng mga Bayani. His family after all cannot wait. But the story of his resurrection is just beginning. To blame the Supreme Court though is a mistake. Long before the magistrates made their decision, fundamental questions about what defines our soul had already become trivial. If the values cherished by a society constituted its soul, then ours has long been deeply divided. 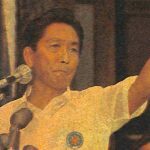 And early this year, a survey showed that 50% of respondents believed that Marcos “was worthy to be buried at the Libingan ng mga Bayani.” The other half rejected the idea. There could be no more opportune time than this to hijack heroism. Marcos in this light is alive again. Not just because of the legalists who invoked the silence of the law, but because many have decided they don’t care anymore. Together they have drowned out the cry for justice among those who reject the heroic claim of the former dictator. There are thus three sides to the story of his resurrection: the legalists, the moralists, and those who are tired they don’t care anymore. To then keep Marcos lying in state in Batac has been a very wise move for his family. They knew that this day would come, when people would no longer remember his crimes. They would recast him as the leader of the country’s glorious past and pit him against the failures of the present. Many ask what the decision’s consequences are on our society. But that is a misleading question. We should instead be asking ourselves what brought us to where we are today: weak institutions, lingering distrust of the government, miseducation of the youth, and the neoliberal project that turns our people into laborers devoid of historical and political consciousness. So where are we now? Our society is deeply divided and we are always looking for heroes. This is the space that has been hijacked. And it is clever. As a result, the once relentless call for justice has started to fade out. The criminal is now the hero. The legalists may continue to claim that the decision does not turn him into one. But why insist on it in the first place? Precisely because cemeteries are not neutral spaces where the dead are left to decay. They are commemorative spaces where kinship patterns linger and legacies are rehearsed time and again. He is not a hero but he will be buried among heroes. No other vindication will trump this honor in favor of the man who orchestrated the murder of hundreds, the silencing of his critics, and the looting of wealth much of which remains unreturned. At his resurrection, many are celebrating. But many too are weeping. Think about the coconut farmers. Think about the families of desaparecidos. Think of those who were tortured still reeling from trauma and pain. Think of those who gave up their dreams to fight for liberty and the rule of law. Think of those who lost their lives so we might live today. Marcos is alive again. But perhaps he never died in the first place. Those who supported his burial among heroes carry the heaviest burden. Explain to the rest of us how we are now to move on. From this day forward, the wounds of injustice are open once again. The onus is back on those who fought hard for Marcos’s burial. 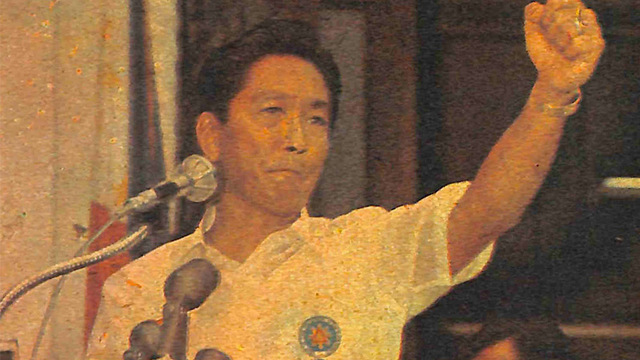 How can healing, as Bongbong Marcos claims, now proceed? How then shall we live? The answers they offer are all oblique, appealing to an imaginary future that looks bright. But unless the injustices of the past are rectified, hollow is the rhetoric of this claim. In this light, the world will soon see that the resurrected hero remains soulless. Jayeel Serrano Cornelio, PhD is a sociologist and the director of the Development Studies Program. He contributed to High Chair’s most recent issue on historical revisionism. Follow him on Twitter @jayeel_cornelio.